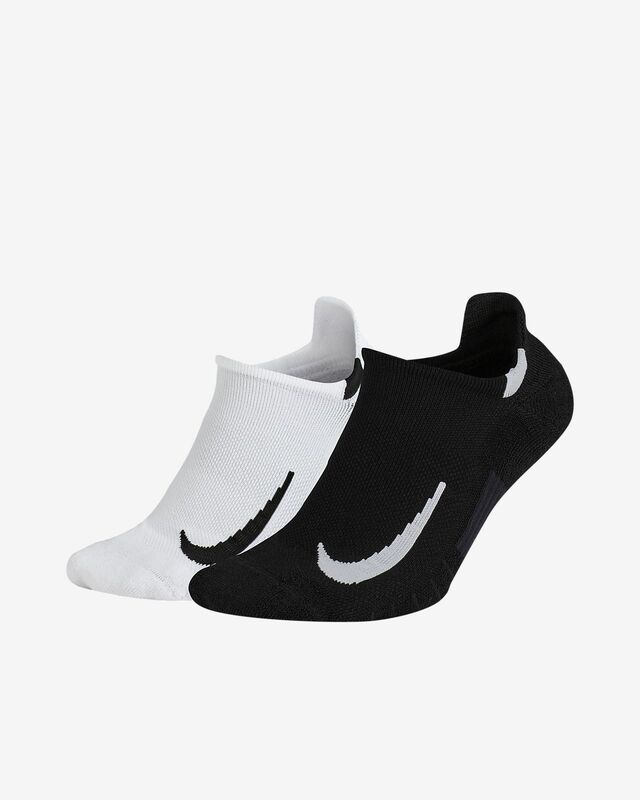 The Nike Multiplier No-Show Socks (2 Pair) are great for every sport. The mesh fabric wicks sweat and features mid-range cushioning for whatever your workouts demand. Dri-FIT technology helps your feet stay dry and comfortable by pulling sweat away from your skin to the fabric’s surface, where it quickly evaporates. Zoned cushioning in the forefoot and heel provide padding only where you need it, while dynamic arch band offers a supportive feel throughout your workout.